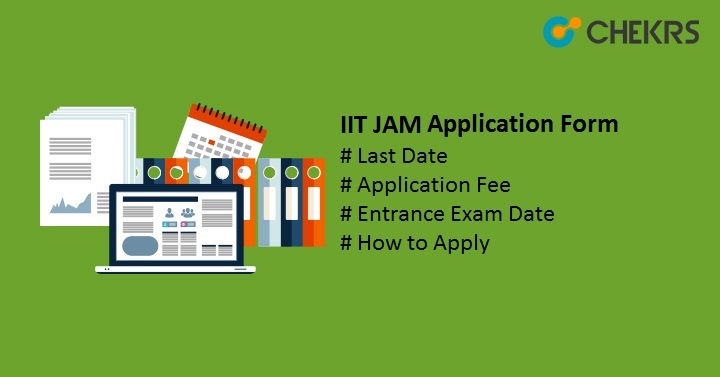 IIT JAM 2019 Application Form: IIT JAM stands for Joint Admission Test for MSc. It is a national level examination conducted by IITs and IISc on the Rotation basis. In 2019 IIT, Kharagpur will conduct the exam. To get admission into M.Sc and Ph.D. courses candidates have to appear in the examination and hence they have to fill the Application form. In this article, we will provide all the details about Application form including IIT JAM Registration last date and procedure to fill the form. Latest Update 1 Sept.: IIT JAM 2019 Registration Already Begins from 1st September 2018, Check Procedure and other details below !! The application form is expected to be released in the month of September Important IIT JAM Entrance Exam Date will be notified through the notification. But here are the tentative dates of IIT Jam Application Form. Candidates have to fulfill all the IIT JAM Eligibility criteria to fill the application form. All candidates must have qualified 10+2 examination with subject Mathematics. Must have the valid Bachelor Degree. Minimum marks required for Gen, OBC, UPS is 55% whereas for ST/SC/PWD required percentage is 50%. Must fulfill the Minimum Qualification Criteria. Candidates also have to submit the Physical fitness Certificate stating they are physically fit. Mode Of Payment Online; Through net banking, debit/credit card, UPI, and E-challan of SBI. Candidates can Apply for IIT JAM 2019 easily by going through the step-by-step procedure. The complete procedure can be divided into four parts as given below. First of all, visit the official website. Find and click on Applicants login (JOAPS). Fill all the asked details. And Click on Submit. After Submitting, Candidates will receive an Enrollment ID on the provided Email id and Phone number. Visit the JOAPS Registration Page and Login there, after entering the IIT JAM Enrollment ID and Password. After Logging in Click on “Edit Application Form”. You will find the option on the Application Status Pop-Up. And Filled the Asked Details like No. of paper, paper subject, and exam city preferences. Personal Details, Communication Details. Qualification details. Step 3: Upload Scanned Images. Candidates also have to Upload the SC/ST/PWD certificate (if applicable). After filling the application form and uploading the required images and documents, Candidates needs to pay the required IIT JAM Application Fees. The fee can be paid through Online Mode and Offline mode both. The fee details and modes of payments are given in the above table. Make sure to print-out the filled IIT JAM Application Form and payment receipt. Candidates will get a confirmation message and Email on the provided contact details.